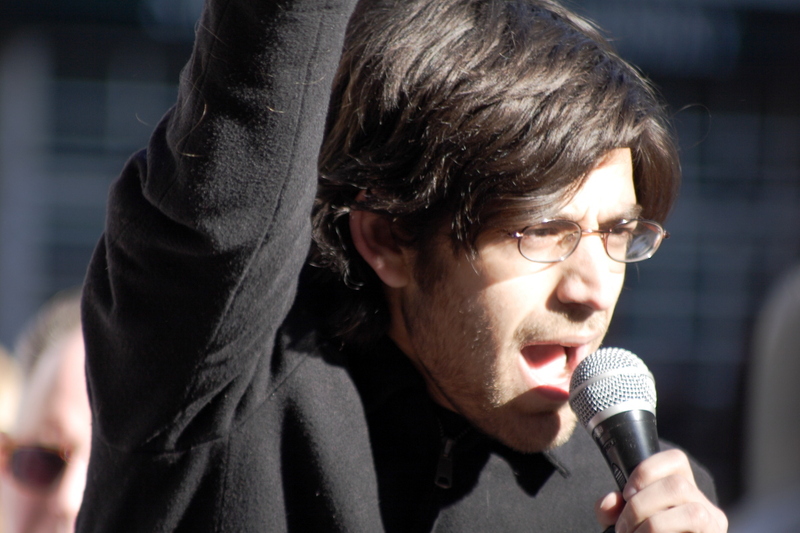 Pingback: Petition asking MIT to apologize for pursuing Aaron Swartz; hackerspaces contributing to projects Aaron worked on | It's like, Really? Hey, I’m an alum and work professionally with online organizing technology. I’d like to help this petition spread and grow big enough to get the response it deserves. - Optimize for Facebook sharing. Add an og:image meta tag, and a short description. - Looks like you’re using SpeakUp Email petitions. Can you edit the email sent to the signer after they submit? Ask them to share again, they probably will. - If you can remove the requirement to confirm the email address, you’ll make it easier to sign quickly. Anything you can do to lower the barrier to signing, the faster it will grow. Feel free to contact me at the address above, I’m happy to help any way I can. Final thoughts re Aaron Swartz. The more I have thought about this the more disturbed I get. My take: a brilliant young man with mental health issues is “adopted” by the Internet/PC/Info should be free crowd (yes Larry, Tim and Cory I mean you). He is coddled and “groomed.” He is a kid, he can act out the things they dare not (but do talk about and fantasize about etc). If he gets into trouble, they as the “respected elders” can vouch for him and all will be well. He gets to do the dirty work (and as a result gets the praise from these elders which is personality needs) and they get the public platitudes. But this time Uncle Sam and MIT refused to go along. The brilliant but troubled Aaron cannot accept that he has done something “wrong” after all all his mentors tell him it was right and for a good cause and the government has no case. If he accepts the plea deal then his role as the “kid who can do anything” vanishes. If he fights on, well it seems his mentors are unable to deliver. All through this no one is dealing with Aaron’s mental health issues and seemingly everyone has failed to teach him about either personal responsibility or cause and effect. Aaron is drowning in his loss of self identity. He does the unthinkable. The mentors and the parents — Aaron’s enablers and those who were “using him” for their own ends — hold much of the responsibility but that defies their sense of self identity (we of the the “higher ethical ground” are always doing only that which is the “right thing to do”) — so they lash out and blame others. In the world of the users (my word for those who abused their relationship with Aaron) MIT was wrong for not seeing that allowing repeated trespassing and hacking of its property and networks served a “greater good.” The government was wrong for not agreeing that “moral intentions” trump actual physical criminal acts. The media can be used to help divert attention and guilt from those who really hurt Aaron and contributed to his downfall. The “Information should be free” community abused one of its own most brilliant members. It is time that community look in a mirror and begin to accept responsibility for its own ugly role in Aaron’s tragedy. Please. Help me understand how MIT conducted itself properly in this situation. Please. That the Youth Movement… Read: youthful activism… has suddenly become the target of academia and the status quo is a sad commentary on the current culture at MIT. The Occupy Movement needs to move its headquarters to the Massachusetts Institute of Technology to dislodge that thick top crust which has calcified the minds of its administration and runs counter of its stated mission of advancing knowledge, intellectual freedom and creativity. The tragic death of Aaron Swartz is a black mark on this school and will forever remain so. It is time for a new mission statement from MIT which embraces web freedom / open access and the principles that have cost one brilliant young man his life. I disagree with your claim that nothing he did was illegal. In fact, if you look at the law, (i.e. http://www.volokh.com/2013/01/14/aaron-swartz-charges/), what he did was indeed illegal and he continued to do it after he had been blocked, told to stop, etc. He was warned, and continued breaking the law. Whether it hurt anyone is irrelevant – the law is the law, and he should realize that there are consequences to actions. If you think the prosecution should have used their discretion to either not prosecute, deal, or seek lesser charges, that is one thing. But I can just as easily make the argument that they should make an example our of him before someone uses his techniques to do something more damaging. In the years I lived and worked in Boston I spent many evenings and weekends on the MIT campus, in the library, attending events or strolling the infinite corridor. In spite of its numbered buildings or maybe even because of them, the place had a homely feeling and I always felt welcome there. In fact, one of my pet stories to tell used to be how I was able to log in to athena using a login passed along to me by a homeless person. All I did was look things up in the library, thereby impressing my co-workers the next day with my fast turnaround on research questions. I was young, it was the 90s. Incidentally I worked at BBN, one of the internet pioneers, where we also had numbered buildings, just like MIT. I am now far from Boston and though I thought I was aware of issues like this, I had not heard of Aaron Swartz till now and I am more than shocked by the role MIT has played. MIT the place where anyone is allowed to audit a course (at least this is what the word on the street was). I can no longer smile when I see news of MIT students playing tetris on a building, I can no longer think of MIT without thinking of Aaron Swartz. Aaron Swartz who read Noam Chomsky at age 18 and dedicated his life to changing the world. If we do not work to address causes like freedom of knowledge through legal means, then we are going to see more idealistic and self-sacrificing people like Aaron Swartz putting the cause ahead of themselves. When we do, I hope that we can recognize their abilities and seek their guidance for the sake of a more just and humane society. If we can’t we may want to ban Noam Chomsky for 18-year olds and make them wait till they are old enough to sit in cafes and just talk about it.